With Computrols' Visio Building Automation System Graphics, you and your team can speed projects to completion by creating complete CBAS drawings through Microsoft® VisioTM; without specialized software or training. It's easy, simple, impressive--and now it's FREE. Download today and complete projects faster! 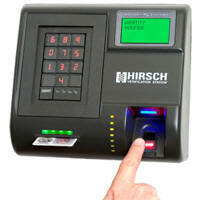 The Hirsch Electronics Verification Station--General Purpose (Model RUU-GEN) is a high-security, multi-purpose biometric system. The RUU enables the administrator to capture fingerprints, encode smart cards, and manage users and biometric devices. The RUU also controls access to a door or gate and verifies claimed identities at a guard or visitor checkpoint. Administrators can chose from twelve modes (e.g., finger-only, card+finger, card+code+finger, etc. ), and change the combination of authentication factors as the need or situation changes. The unit is IP addressable and Power over Ethernet- (PoE) ready. Viconics Inc. is pleased to announce the introduction of a completely redesigned family of communicating and non-communicating humidity controllers - The VH7200 Humidistat Series. The VH7200 series of humidity controllers has been specifically designed for controlling commercial humidification and dehumidification equipment within accuracies of +/- 3%. All VH7200 humidity controllers feature a large backlit 2 x 8 character digital display, digital service inputs for local equipment monitoring, outdoor reset capability, remote humidity monitoring capability and “real-text” menu driven onboard configuration utility eliminating the need for additional service tools. Networked enabled models will come shortly featuring BACnet MS/TP, Lontalk, and Wireless Zigbee communication interfaces allowing these humidity controllers to be integrated to virtually any building automation system. Mitsubishi Electric recently introduced a new, affordably priced, pre-packaged LED billboard monitor for indoor use. At 140" diagonal, measuring roughly 10 feet wide and 6 feet tall, the Mitsubishi Resolia™ is the sign for all signs! Airports or train stations, shopping malls, museums or even indoor sporting arenas, the Mitsubishi Resolia is sure to capture the most attention with its vibrant colors and crisp images. The Mitsubishi Resolia is a great alternative to customized LED displays when a quick and easy setup is required, and a fixed size display fits the bill. Priced at approximately a third of what someone would normally pay for in a similarly-sized but custom-built LED monitor, the Mitsubishi Resolia allows you to put up more supersize signs with the same budget allocated for custom-built LED monitors, square foot by square foot. W5300 - New Embedded-Internet IC with fully-hardwired TCP/IP core and PHY interface designed for high-speed embedded systems. 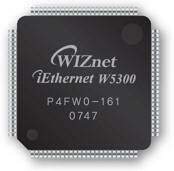 Pittsford, NY: W5300 is a new, full-featured 10/100 Ethernet controller IC from WIZnet, three times as fast and with double the channels of its predecessor W5100. W5300, with built-in MAC and PHY, offers stable speeds up to 50 Mbps - enough to watch movies in real-time rather than buffered. W5300 supports eight independent, simultaneous sockets, with a 16- or 8- bit data bus. W5300 is as simple to control as a memory IC and is capable of even supporting, for instance, simultaneous broadband access, VoIP, and digital broadcasting. Supporting most Ethernet Protocols (TCP, UDP, ICMP, IPv4, ARP, IGMP, PPPoE) with internal hardware, W5300 also supports hybrid (software and hardware) TCP/IP stacks. Using an internal 150MHz core, W5300 dynamically allocates its internal 128Kbyte Tx/Rx memory according to socket throughput. Visit http://www.saelig.com for more information. EzHomeTech SSP, specialized for 1080p HD signage market, is a cross-platform middleware that can run on Windows, Linux and uClinux for embedded devices. Not only can SSP run on PC's, but it also can run on low cost boxes. It defines a set of GDI, windowing, media streaming, multithread interface, network interface and media server control interface for signage application development. Now, many worldwide famous companies spread in USA, Germany, Slovakia, Korea, Japan , Hong Kong, Taiwan, Dutch, Malaysia, Russia, Sweden and Singapore have licensed products and tools. Based on experience collected from end-users in a wide range of industries around the world, this book provides "how-to" information for all phases of the system lifecycle, from engineering to device and strategy configuration, installation, commissioning, troubleshooting, operation, and maintenance. Fieldbuses for Process Control: Engineering, Operation, and Maintenance covers the three leading process fieldbus technologies: HART, FOUNDATION(TM) Fieldbus and PROFIBUS-PA, as well as both the field-level and the Ethernet-based host-level networking. A chapter on benefits helps engineers justify business advantages to management. First Embedded Modules To Run .NET Micro Framework With Fatfile and USB Capabilities. 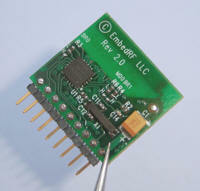 Embedded Master is a family of embedded products that implement Microsoft's .NET Micro Framework. Developers can run C# managed code inside Embedded Master or use Visual Studio to create and debug programs quickly and effectively. Embedded Master is the first OEM device to implement .NET Micro Framework that also adds a FAT File System and USB Host capabilities on a tiny 1.55" x 1.55" board. Users can access files on SD cards or memory devices (thumb drive, USB hard drive, etc.) and also use other USB devices such as, mice, keyboards, joysticks, printers and Bluetooth dongles. Windows SideShow is also fully supported through USB or Bluetooth. Microsoft .NET Micro Framework extends the advantages of .NET and Microsoft's Visual Studio tools to a class of smaller, less expensive, and more resource-constrained devices than the .NET Compact Framework or the standard .NET framework. Embedded Master adds additional features to the .NET Micro Framework, allowing access to files on SD/MMC cards and USB memory devices. Also, with an embedded USB host stack, other USB devices can be used as well (e.g. mice, keyboards, joysticks, printers, Bluetooth dongle, etc.) Other hardware classes are provided to support the many available peripherals such as ADC, DAC, PWM and more. Beaverton, OR: Cerus Industrial, a leader in motor controls for the building automation industry, introduced their intelligent Building Automation Starter (BAS) with BACnet communication for building control systems. The BAS starter is designed specifically for building automation applications and as such, comes complete with built-in sensors and monitors required for building automation systems. It also has the added benefit of a single point of communication and control through BACnet communication, the preferred protocol for building automation systems. Monitoring is integrated into the intelligence of the starter, providing important supervisory and maintenance information. Damper and actuator control functions also reduce control points on the building management system, improving throughput and performance while reducing installed cost. The BAS starter is available from ¼ HP to 300 HP, and is sold exclusively through Cerus Industrial’s Dealer Network. The Cisco Digital Media Player 4400G is a highly reliable, IP-based digital media player that controls the display and playback of rich digital media, including high-definition live broadcasts or on-demand video, Flash animations, graphics, text tickers, and other web content, through on-premise digital signage and Enterprise TV displays. Using the Cisco Digital Media Manager software application, you can flexibly and remotely publish centralized content over the web to networked digital displays. The Cisco Digital Media Player 4400G can be attached to virtually any on-premise digital display at any location, including bank branch offices, retail stores, break rooms, or lobbies, helping you reach key constituents anywhere, anytime. Sentry 360 Security, Inc. announces the release of a breakthrough high resolution mini- vandal- resistant dome camera with on-board local recording. The InSight™ Mini-Dome is approximately 3 to 4 times the resolution of a normal CCTV or IP camera with a compact size and vandal resistant exterior. Sentry 360 created the InSight Mini-Dome series to open the market to a cost-effective megapixel camera designed for applications in the retail, government, education, corrections, healthcare, industrial and transportation vertical markets. The InSight Mini-Dome is the first Megapixel vandal dome of its kind with on- board recording through SD Card & with 3GPP monitoring via a 3G mobile phone. We are pleased to announce that release 1.0 of the S4 Open: N2 Switch and the S4 Open: OPC N2 Router are now complete. We are ramping up the manufacturing process and are now accepting orders. The S4 Open: BACnet N2 Router will follow shortly. We look forward to discussing your integration projects with you in the near future. The S4 Open: N2 Switch extends and enhances an existing Metasys® environment. A typical application of the N2 Switch is to migrate multiple legacy NCM, NCU, N30, Facilitator or Companion based Metasys® installations utilizing current generation Metasys® supervisory controllers. The S4 Open: OPC-N2 Router provides all of the functionality of the N2 Switch plus information in the Building Control Network is published to an upstream OPC interface. All current OPC DA standards are supported so the customer is free to choose the appropriate OPC client. The S4 Open Console manages all systems and appliances within the S4 Open family of products. The Open Console uses Microsoft® Windows look and feel which is the defacto state of the art in user interface technology. The capability allows you to either centrally manage all appliances in your network or distribute the management’s responsibility within individual organizations.